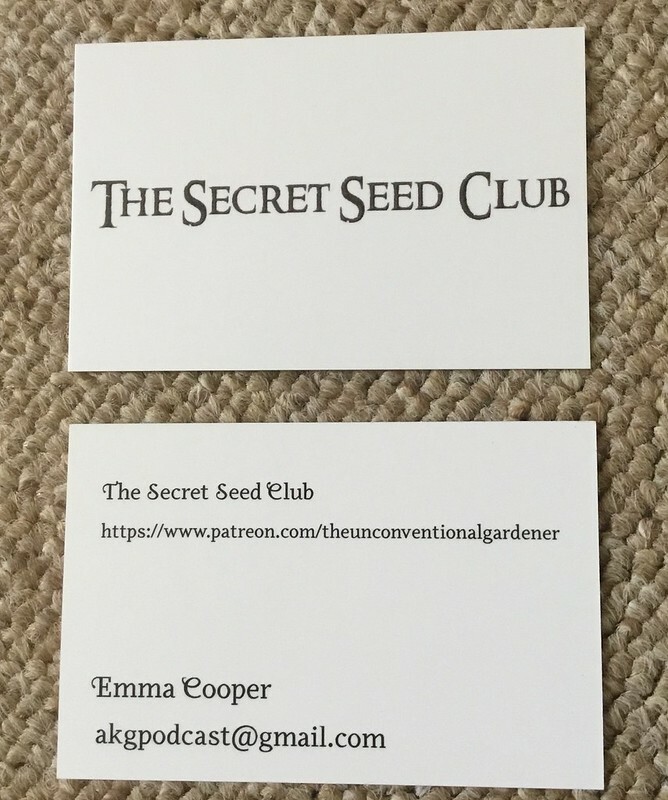 I have some lovely new business cards to promote my secret seed club. It’s a deliberately understated and somewhat enigmatic design, with a little steampunk edge. I ordered them from Moo.com*. I have used them for all of my business cards over the years, because the design process is easy, and the resulting cards have a personal touch and are high quality. There’s nothing quite as naff as a cheap and flimsy business card. In fact, both of those definitions apply. The particular subject the Symposium is discussing this year is Seeds, and whilst most conferences aren’t famous for their food, I’m going to be revelling in meals from Olia Hercules and Moshe Basson. Dinners are accompanied by wines (plural). I can’t remember when I last went to a dinner with multiple wines. The meals aren’t just pitstops or comfort breaks, they’re an integral part of the Symposium experience. Before the Symposium officially starts, there’s a chance to participate in a Wikipedia edit-a-thon, or take a guided tour of Plants that Changed the World at the Oxford Botanic Garden (guess which one I will choose?). The topics covered by the talks are wide-ranging, opening with one about the Svalbard seed bank, and proceeding from the history of Acorn eating to Zoochory and how animals spread seeds in dung. There are multiple tracks, and I already wish I could attend all of the talks. Does anyone have a time-turner I can borrow? Famous names abound through the programme (e.g. Claudia Roden, Elisabeth Luard) and I have a feeling I’m going to be an awe-struck newbie most of the time. I’m 50% excited and 50% terrified. Wish me luck! *If you’re in the market for business cards, then clicking on my link will get you 20% off your first Moo.com order. I’ll also get a discount on my next set, but it doesn’t cost you anything.